The Pharmacy at Masonic Village provides retail pharmacy services, based out of the Sycamore Square Marketplace in Elizabethtown, as well as services for other long term care facilities. Our knowledgeable staff provide you with reassurance and convenience. On Monday-Saturday, any on-campus orders received by 2:30 p.m. will be delivered the same day. Pick-up is available until 6 p.m., Monday-Friday, and until 4 p.m. on Saturdays. Inquire about off-campus deliveries. More than just a pharmacy! Pick up your prescriptions and other over-the-counter medicine, creams and remedies. Prices are competitive, and often much lower, than other drug stores. Our pharmacists and technicians learn to know you, your needs and your concerns. Ready to switch pharmacies? Set up a consultation with Masonic Village staff who will help work with your doctor and insurance company. Services available for Masonic Village residents and employees and the local community. Our team of highly skilled pharmacists and technicians is ready to meet the pharmaceutical and clinical needs of your facility. Masonic Villages has more than 145 years of long term care experience, and we have been providing pharmacy services to Lancaster County for more than 40 years. We recognize the specialized pharmaceutical needs of a long term care facility, and in 2017, we designed and built a state of the art 4,000-sq. ft. pharmacy. We provide services for continuing care retirement communities and skilled nursing, assisted living, independent living and children’s facilities throughout central and southeastern Pennsylvania. 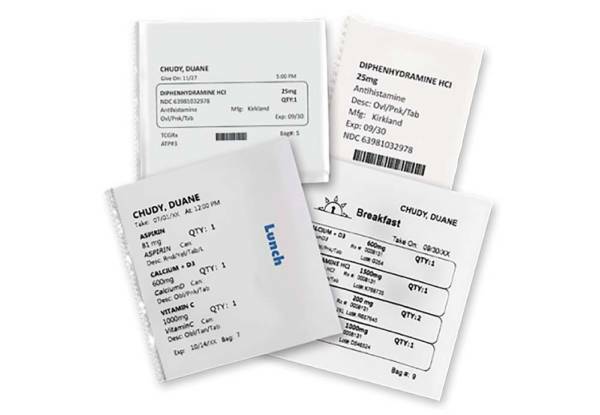 Masonic Village Pharmacy uses advanced packaging technology to fill prescriptions quickly and efficiently. 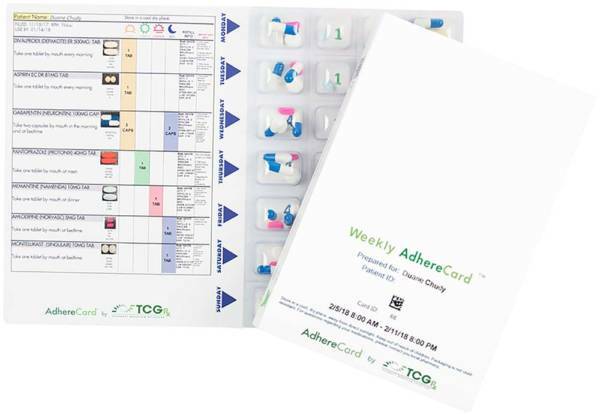 We offer TCGRx multi-dose compliance packaging with flexible days’ supply. Our bar coded work flow process and visual analyzer ensures the utmost in quality assurance. Our discharge to home program utilizes automation to improve patient compliance – learn more in this Computer Talk article. We’ll ensure coordination of care is simple and easy. We are capable bi-directional interface with all EHR programs including, PCC, Matrixcare/AOD, EnvisionRx and HealthMEDX. I.V. medications for a wide variety of therapies including total parenteral nutrition, hydration therapy and antibiotics are prepared in our 797-approved I.V. isolator. Masonic Village Pharmacy accepts most insurance plans, including government assistance plans (PACE and Access). Our billing staff work directly with facility staff to ensure all prior authorizations and non-formulary drugs are compensable through a web-based program, CoverMyMeds. MVP also has competitive pricing for residents not covered under any prescription plan. Our experienced billing analyst will compassionately handle all family questions. No outside services allows for quality control and personalized service. We help you manage costs while providing the highest quality of service. Our consultant pharmacist interacts with staff, providers and administration during visits. Medication reconciliation program and clinical services provided through all levels of care, including interdisciplinary care team support (falls committee, QAPI, pain task force, antimicrobial stewardship, psychoactive committee meetings, etc.). Contact Masonic Village Pharmacy for more information: mvpharmacy@masonicvillages.org or 717-361-5599.